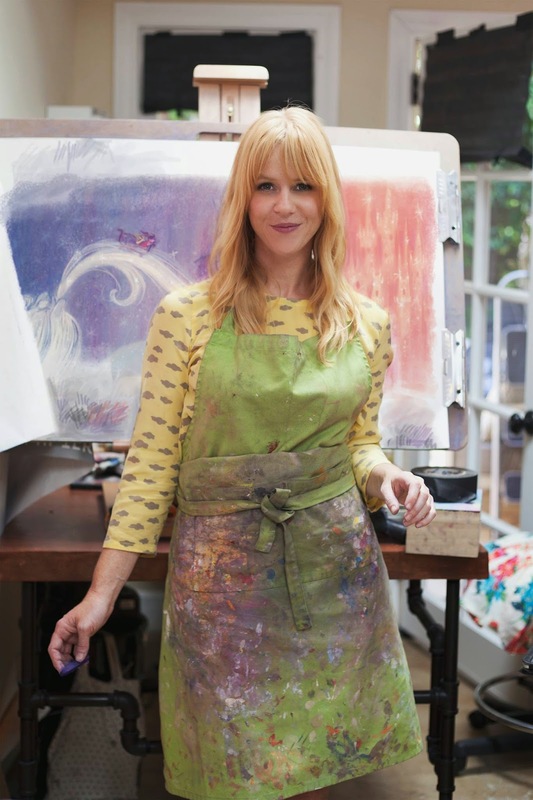 Claire Keane: I grew up drawing a lot at home. 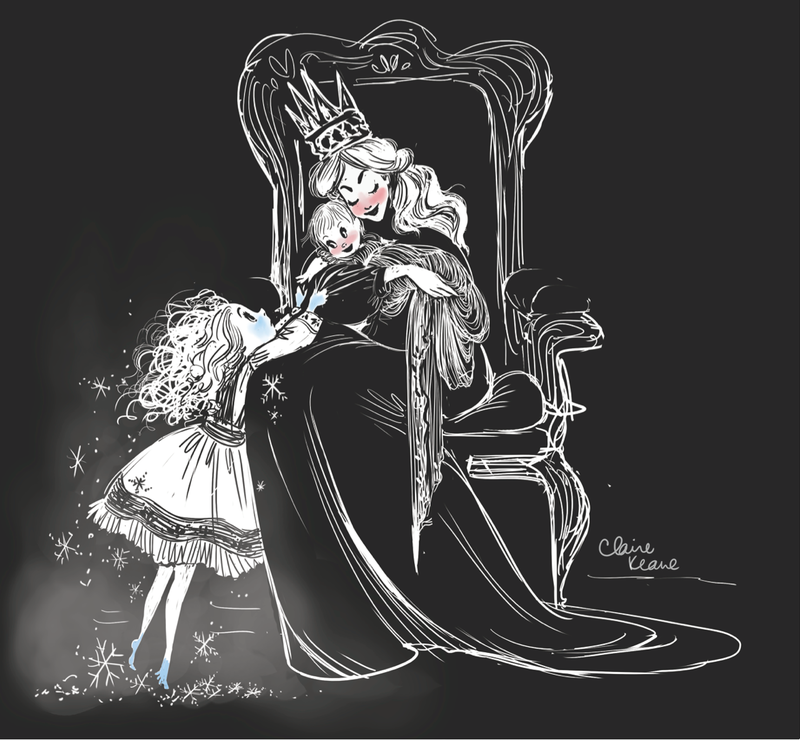 I spent my days drawing princesses. My dad was always very encouraging and supportive of my drawing. I would wait till he came home from work to show him my drawings and ask him to go over the problems I was having with them. He always showed me with one or two lines how to fix whatever was messed up in my drawing- usually an arm or a hand. He made it look so easy. I went into the studio quite a bit with my dad. One of my earliest memories is kissing the nose of the Mickey-shaped mailbox they had on the main lot. I loved going into work with him. Everyone was always so kind to me. It was fun to see those faces again when I started working there as an adult. Everybody was just as I had remembered them. JB: What was it like to move to France at the age of sixteen? Was that a difficult transition for you at that age or was it exciting? CK: I was so excited to move to Paris. I went to the American School of Paris where everybody was so wonderful and accepting. It was a small school full of expat kids from one country or another who had all been the new person in school many times in their lives and were therefore very open. I made solid friendships there. It was truly a magical way of discovering Paris. JB: Tell me about your time at art school in Paris- how do you feel the experience helped you develop as an artist? CK: I attended the Parsons Paris program the year I left high school. I wanted to be a fashion illustrator. At the end of the first year, looking back at what I was doing, I realized that it was the people under the clothes that interested me most and less the fashion itself. L'Ecole Superieure D'Arts Graphiques was recommended to me to be one of the best art schools in France, with an emphasis on traditional training and anatomy. It also turned out to be a very difficult school, accepting only one-third of the students to go on to the second year. Their teaching method was one of militant strictness. The school taught me discipline and through my own struggles with it, I learned my own strength and how much I could actually accomplish. They followed the Bauhaus philosophy of form following function. It was this philosophy that has been very influential over how I work. It is what has helped me through every design problem I've ever been faced with. 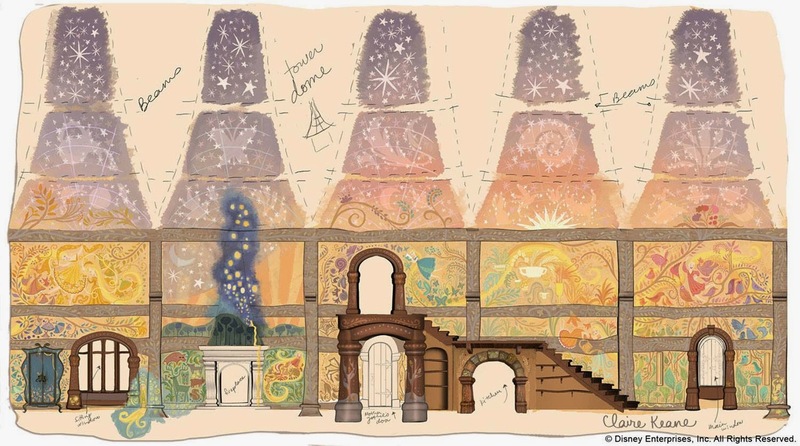 For example, when working on Rapunzel's murals, I dove deep into the core of who she was before putting form to her paintings on the wall. Most importantly though, it was at this school that I met my husband and father of my two children, Vincent Rogozyk. JB: You've said you usually find inspiration in other artists, such as Matisse, Rembrandt, Klimt, Marie Laurencin, and Ronald Searle- What is it about their work that speaks to you? Also, who has caught your eye recently that you'd cite as inspiring? CK: Matisse for his simplicity of line, color and composition. Rembrandt for the theatricality and mystery in his lighting. Klimt for his beautiful juxtaposition of patterns and human form- also I love all the gold he uses. Marie Laurencin has the ability to make her paintings feel whimsical and magical. Her women are full of grace and so serene and her shapes and colors are in perfect harmony. I love Ronald Searle also because of the storytelling he gets in his sketchy line. His illustrations are poignant and funny. These are also the reasons that I am crazy about Sempe's work. Lately I have been so enthralled by the other illustrators that my agent Steve Malk represents (he has exquisite taste... if I may say so myself!) Among those illustrators, some of my favorites that come to mind are Jon Klassen, Christian Robinson and Carson Ellis. They have a sense of design that is so solid- I just wish I could have a little bit of what they have. Jon's work is always understated and witty, very much like who he is, and Christian's work is colorful and the shapes he chooses are in perfect harmony with the composition and colors he paints. Carson Ellis' illustrations are also understated but full of life and poignant details. She works like a graphic designer, designing her type for much of her work. JB: What attracted you most to character development? Do you have a process for getting to know who a character really is? CK: A character is always implicated in a story somehow. What is interesting to me is figuring out how that character lends itself to the story and why that story has been chosen for that particular character. In real life, we are put in situations that may or may not be what we want but what is fascinating to me is why, in the grand scheme of life, is this happening right now. In real life that question remains mostly unanswered, but in a movie or a book we can answer it and it is so satisfying. I like to explore the moments that aren't necessarily in the story because it's in the moments when a character is just breathing or sleeping or getting ready for the day that I can personally connect with them- regardless of what type of person he/she is. Once I've gotten "acquainted" with a character through these moments, then I feel like I can try to depict him/her in one of the on-screen moments. Something I have found that helps a lot is just drawing the character in his/her room or kitchen. Just developing what kind of stuff that person would have around them, how they arrange things, their attitude in the most mundane moments of life. It's kind of like Method Acting for visual development. JB: Looking back, what did you love most about working for Disney, and what did you find most challenging? CK: I loved working alongside such great artists. Having a team of really good artist friends in the same building everyday. I also really loved collaborating on story with directors and story artists. For someone who is searching for the "why" behind their "what", working closely with the people writing the story I'm designing for is not only fun but it is essential to my work. I always wanted to be more involved than I was. JB: What inspired the story of your new book, "Once Upon a Cloud"? CK: I'd just had a baby who never wanted to sleep, so I had been thinking a lot about sleep and the role our dreams play in waking life. I began asking myself, "How could I show her all that is possible when we let ourselves dream?" The idea for Once Upon A Cloud came to me during my time working on Tangled. I was asked to design Rapunzel's murals and it felt fitting that the paintings around her bed reflect her dreams. In these murals, I painted a few images of Rapunzel floating through a night sky. They called to me and I wanted to know more about where she was going in the sky and what she would end up doing. That’s when this idea of telling a story about a girl meeting the Sun, the Stars and the Moon was planted and I had an "a-ha" moment. However, I didn’t really know where this inspiration was leading to since it wasn't very relevant to the actual story of Tangled. I soon realized these were the beginning inspirations of a picture book. From these seemingly unconnected inspirations came the desire to pass on this revelation, that all our questions can be answered when we just let go, enjoy the ride and let our dreams guide us. JB: What was it like tackling your own original project like this, and how much did the creative experience differ from work you've done in the past? CK: It was really rewarding creating my own story. 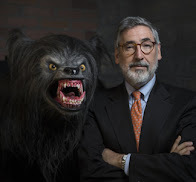 I worked very closely with one of my editors, Nancy Concescu, who saw the potential in the story from the beginning. Based on our conversations, she was able to reach into my mind and pull out the best ideas and lay them out on the table for me. She was essential to me getting this project up and running. JB: Did you pull any inspiration from your grandfather's work on The Family Circus while developing Once Upon a Cloud? CK: It's funny that you ask that because, while the book itself does not quite reflect The Family Circus, it is dedicated to my granddad who passed away minutes before I got the news that Penguin wanted to make it- it was such an odd day of deep sorrow and boundless joy. My granddad was always a big supporter of mine and has been a great inspiration to me. I have felt his encouragement throughout this whole process. JB: What advice would you give to aspiring artists who want to follow in your footsteps? CK: Do what you love because that is how you will find what truly makes your life happy and fulfilled- even if the road getting there is bumpy and full of militant art school stuff... follow the path that makes you feel like you, because that is where great things start happening. 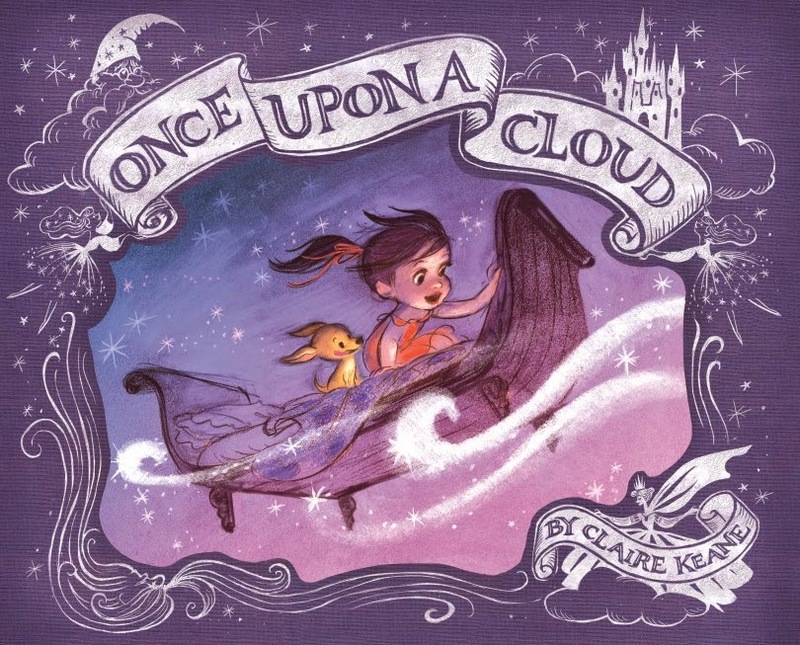 Buy "Once Upon a Cloud"